Still looking for the perfect gift for that bourbon fan on your list? Here are some great ideas. 12 Days of Bourbon truffles: I am told that Art Eatables in Louisville still has a few boxes of its popular “12 Days of Bourbon 2016” sampler ($42.50). Each year, chocolatier Kelly Ramsey builds a collection of her fantastic bourbon truffles using bourbons that are rare, discontinued, hard to get or select barrel picks. Boxes started shipping out this week; if you’re in Louisville you can also arrange to pick them up at the store (limit 2 boxes per customer). This year’s lineup: Old Fitzgerald 86 proof, distilled at Stitzel-Weller (old stock); Maker’s Mark Private Select (Barrel Pick); Yellowstone Limited Edition 2015; Four Roses Limited Edition Barrel Strength 2015: Knob Creek Limited Edition 2001: Old Forester Birthday Bourbon 2014: Wild Turkey Diamond Edition: Colonel E.H. Taylor Barrel Proof: Jefferson’s Ocean (Barrel Pick); Michter’s 10 Year Old Single Barrel Bourbon: Parker’s Heritage 24 Year Old Bourbon: Pappy Van Winkle 20 Year Old Bourbon. Mint Julep Tours: This tour company focused on the Kentucky Bourbon Trail offers public and custom excursions to distilleries, horse farms, and other Kentucky locations. They also have exclusive access to some experiences. 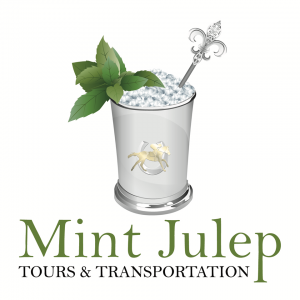 Mint Julep Tours is an especially smart choice if you’re visiting more than one distillery – let them do the driving while you do the drinking! The Louisville-based company has a sweet holiday deal for you: For every $100 in gift certificates you purchase, you’ll receive a $10 voucher valid in the Mint Julep Tours gift shop. Create some cocktails: Spirits writer Susan Reigler and bartender extraordinaire Joy Perrine have re-teamed for a second round of cocktails. Following their popular “Kentucky Bourbon Cocktail Book” comes “More Kentucky Bourbon Cocktails” ($16.95), which features more than 50 new recipes. New in this volume: Prize-winning cocktails from several contests, including Bourbon Women’s Not Your Pink Drink. (Having served as a judge for this contest several times, I can personally attest to the appeal of these concoctions.) 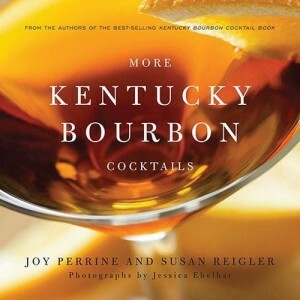 The book also includes recipes for foods that will help you create a Kentucky-flavored meal to accompany your cocktail of choice. “More Kentucky Bourbon Cocktails” is small enough to be a stocking stuffer, but it’s stuffed with great ideas and beautifully illustrated with full-color photographs. Try not to drool on the pages. More bourbon learnin’: With its popular 5-Day Distillers Course, Louisville’s Moonshine University at the Distilled Spirits Epicenter is the go-to place for aspiring spirits-makers. Moonshine U also offers shorter workshops and courses for enthusiasts that would make excellent gifts. Or, you can now order this Distilled Education Bundle ($75), which includes a sensory kit, a bourbon tasting booklet, and a handsome cap (also available by itself for $15). Think of it as homeschooling. 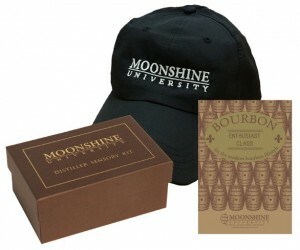 Find more Moonshine University gear here. Merry Christmas, y’all: Who doesn’t need another ornament for the tree? Ornaments make great host/hostess gifts or stocking stuffers, and if you’re looking for one that says “Kentucky,” you can’t get much more appropriate than this one, from Kentucky for Kentucky. 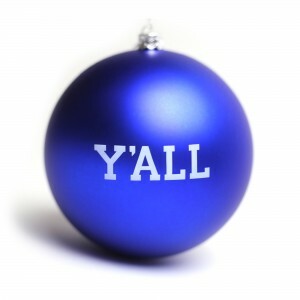 Just $5 each, they will sass up the tree and spread that Kentucky spirit far and wide. The site has other fun Y’all and Kentucky-shaped merchandise as well.